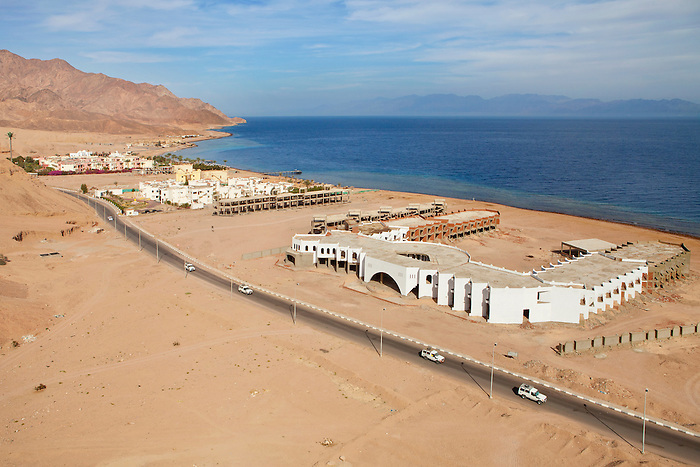 Dahab, Sinai, February 2015. In the foreground is a tourist village left unfinished. The site has been abandoned since the 2011 revolution. The investors are still hesitating to get the construction going again. Each tourist village are built as enclosed units where the entrance and exits are secured in order to protect the tourists.